Enjoy an intense, unforgettable day discovering one of the most enchanting landscapes in the World! An intense, unforgettable day dedicated to discovering one of the most enchanting landscapes in the world. 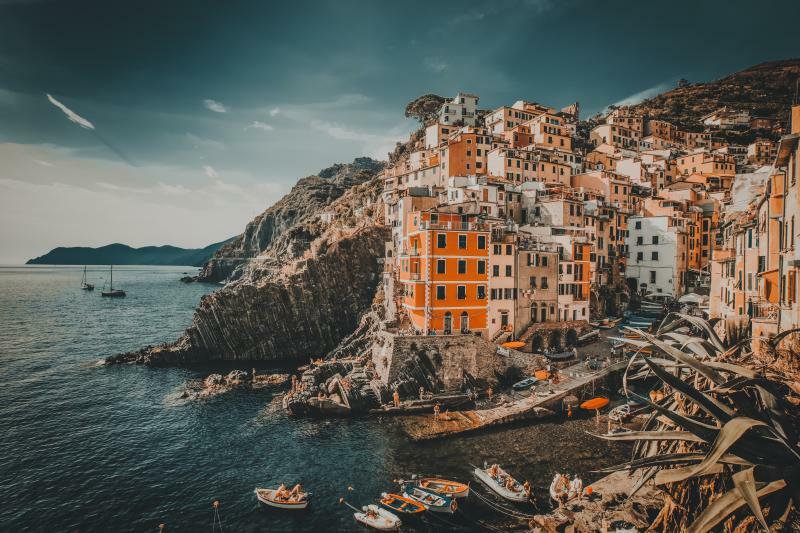 We will depart from Florence in the early morning and arrive in Manarola, where you will enjoy some free time to discover the quaint little village. Later, a local train will take you to the second village, Riomaggiore, for a pleasant stop to admire its beauties. The tour will proceed by boat to Monterosso, an ancient fishing village considered “the pearl of the Cinque Terre.” Here, you will have free time to eat a typical Ligurian lunch. In the afternoon, our tour will continue to Vernazza with its “carruggi” (narrow lanes) and steep stairways. After the visit, return to La Spezia by local train and transfer to Florence.